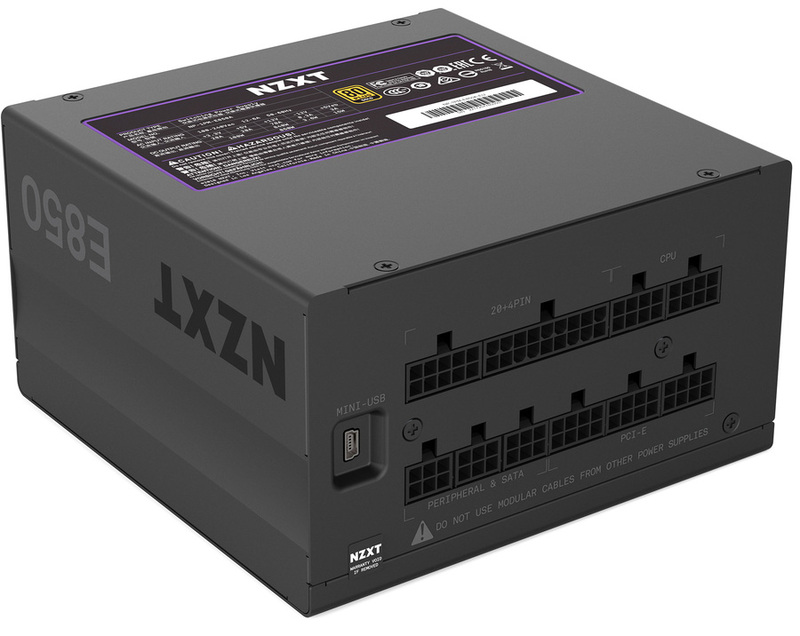 Better known for its chassis line-up, NZXT has recently bolstered its PSU offerings with the E series. Available in 500W, 650W and 850W capacities, the units tout 80 PLUS Gold support, fully-modular cabling, 50°C ambient temperature rating, a 10-year warranty and semi-passive fan operation at low loads. Impressive from a spec point of view. Pricing is set to £115, £130 and £140 for the three models in ascending wattages, respectively, which is quite steep, and the £10 difference between the 650W and 850W models is hard to understand. Surely you would always pay the small premium for the 850W, no? NZXT does have a trick up its sleeve in the form of digital monitoring via peripheral-wide CAM software - more on that later. The E-series family use the same 150mm x 150mm x 86mm (LxDxH) casing whose construction is robust, and we like that the firm hasn't gone for visual overkill or RGB goodness here. The wide grille offers decent airflow potential to the underlying Hong Hua 120mm FDB fan that's common on almost everyone's mid-range PSUs. NZXT programs it to turn on when load reaches 100W so it ought to remain off when the PC is idling. Though the chassis remain the same in the range, cabling provision expands with wattage. The E850 is bundled with the usual 24-pin ATX (610mm) and dual 4+4-pin CPU (650mm). Six 8+2-pin PCIe (three cables), eight SATA (two cables), and six Molex (two cables, again) remain sensible choices. Of decent length and sheathed nicely, the SATA and Molex cables are flat, enabling easy wiggling through a chassis' routing holes. 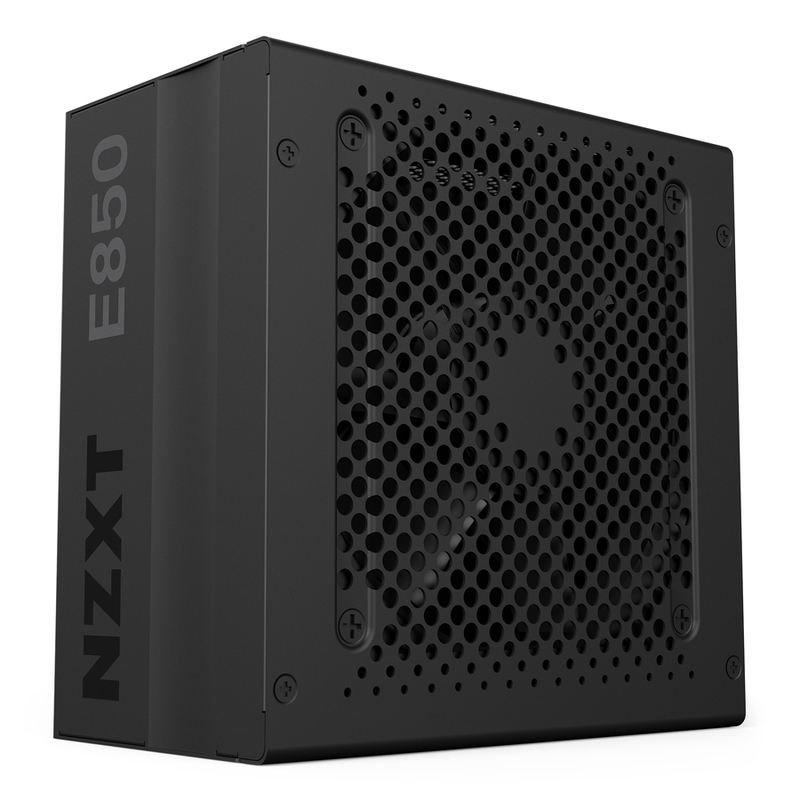 It's clear that NZXT has worked with Seasonic to produce this supply. 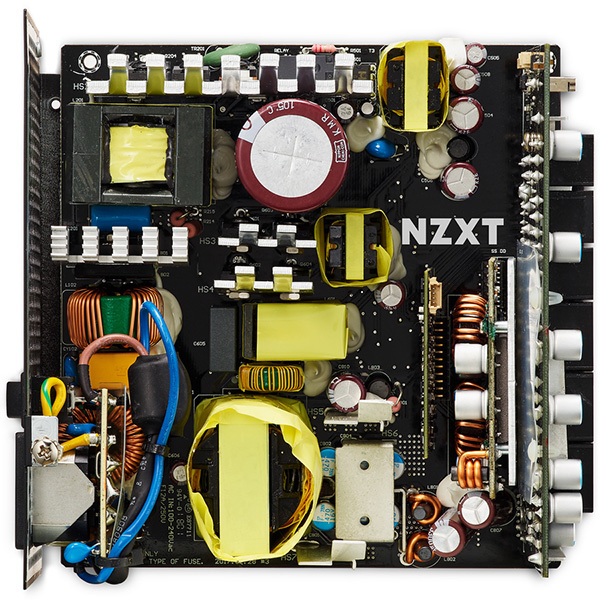 Using the Focus Gold platform as a solid base, equipped with an array of high-quality Japanese capacitors, good filtering, and neat construction, the E-series is referred to as a digital PSU in the company's literature. That's something of a misnomer because the platform is analogue. 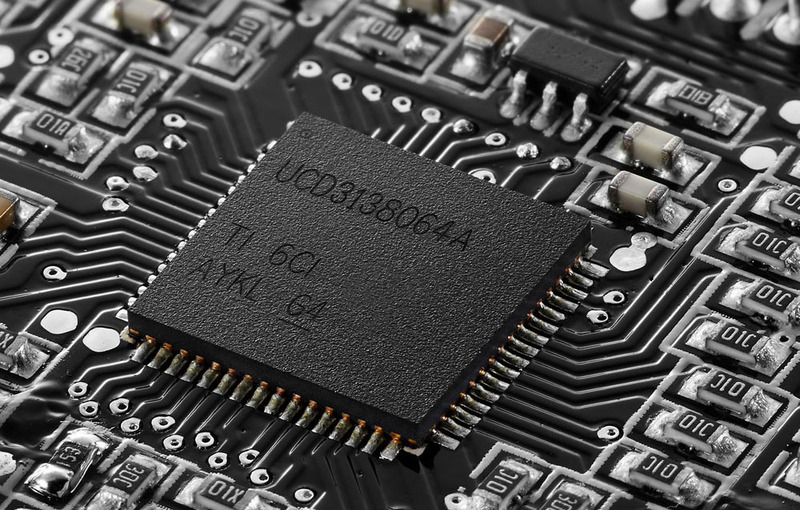 Rather, going down a hybrid route, the E850 teams up with Texas Instruments and provides that digital front-end through a custom DSP. The advantage of this approach is that it's relatively easy to implement and - via the CAM software hooked up to a motherboard's USB header from the mini-USB on the PSU's rear (cable is provided in the box) - gives the enthusiast access to all manner of data including real-time wattage indicators for the three 12V rails, independent OCP protection, along with total uptime and internal temperature. What's more, the fan curve can also be changed to your liking, though the preset silent one does a good enough job of keeping the PSU quiet under moderate load. 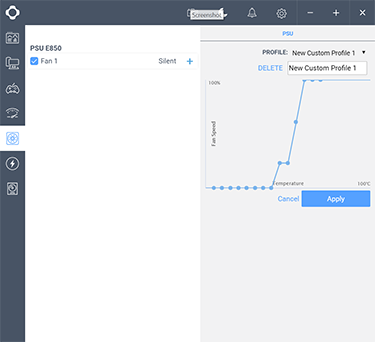 One can reference the various metrics without needing an account, though if you do sign up, historical data is stored in the cloud. 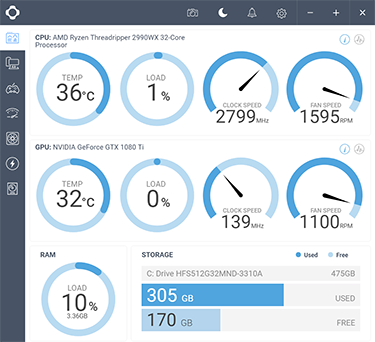 Also available on iOS and Android, the app offers general overclocking support, too. 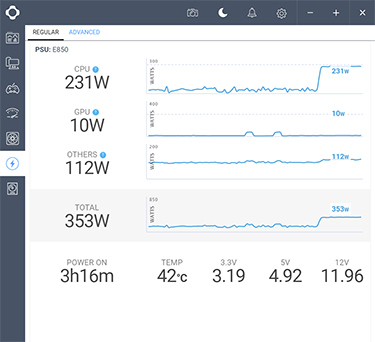 Do you really need to know the exact wattage of your PSU? We're not so sure. The downside is that the one real-world benefit of a fully-digital PSU is missing: crazy-high efficiency. 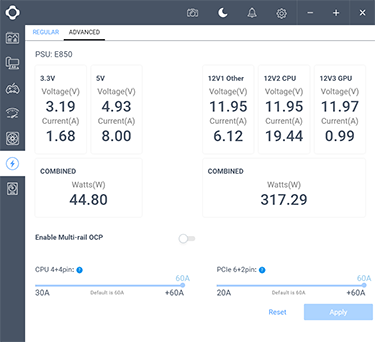 Fully-digital PSUs are almost always rated Platinum, made possible by having extremely efficient regulators (totem pole PFC), but due to having an analogue platform, NZXT cannot exceed 80 PLUS Gold. Of course, going fully digital would jack the price up by a lot. Think of this as a regular analogue PSU with some digital reporting and configurability. Let's now see how it performs electrically.